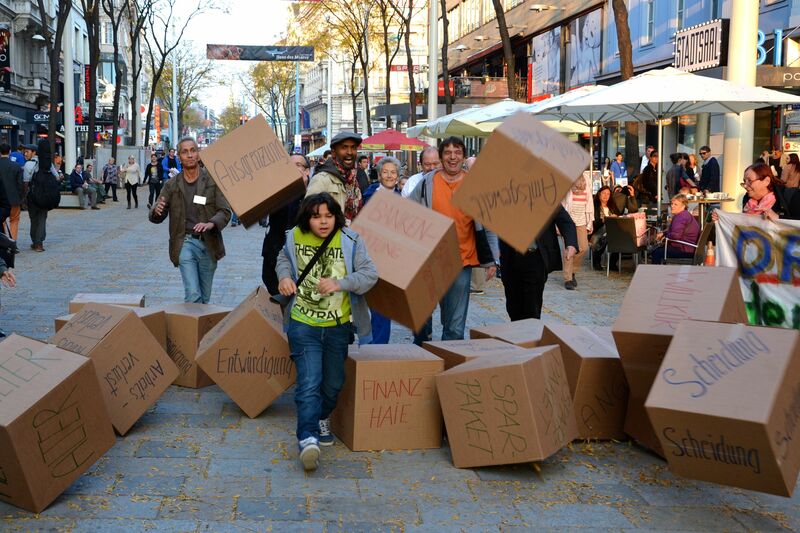 EMIN-Conference Austria: Breaking down the walls of exclusion! 10/10/2014-The Austrian EMIN-Conference took place in Kolping-Centre in Vienna. 120 participants from NGOs and universities, from public administration and authorities, from ministries and people experiencing poverty discussed the Austrian Minimum Income Scheme and European perspectives of adequate Minimum Income.